Reiki is a Japanese word meaning Universal Life Force Energy. Written by one of the few Reiki masters in the UK and featuring the original Usui method, this practical and accessible book reveals the fascinating story behind the discovery of Reiki. Reiki is a Japanese word meaning Universal Life Force Energy. Drawing on ancient practices, which are said to have dated back to Buddha, Reiki balances the energy in the body, renewing vitality and bringing about a powerful feeling of serenity and relaxation through the laying on of hands. Reiki can be used to relieve the problems associated with stress, tension, chronic illness and post-operative pain. In this revised and updated edition Chris and Penny Parkes explain what to expect from a treatment, how it works and how it can be of benefit - and even show how you too can train (very easily) to practice Reiki. 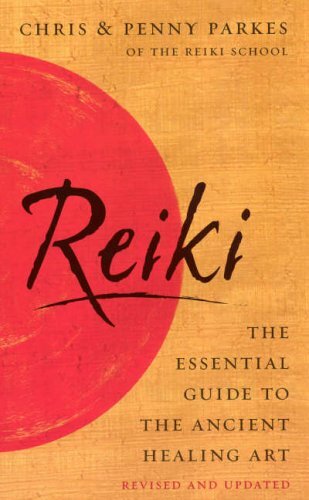 Written by one of the few Reiki masters in the UK and featuring the original Usui method, this practical and accessible book reveals the fascinating story behind the discovery of Reiki.